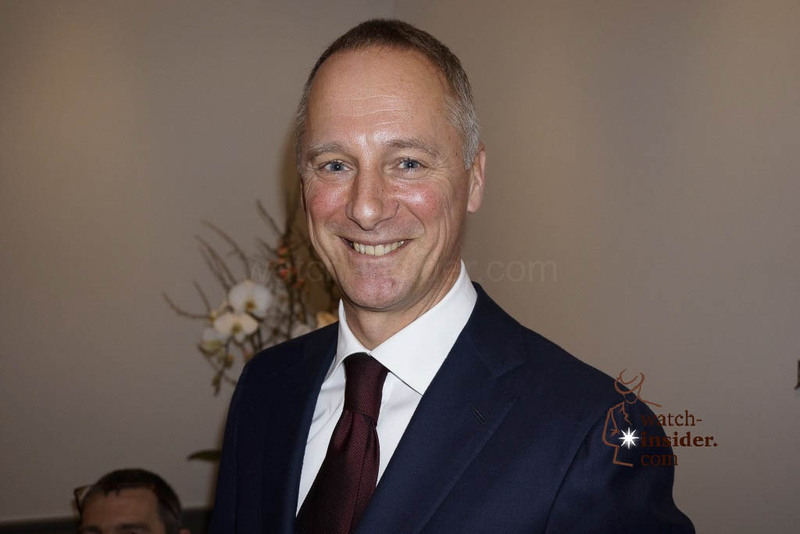 Today I also had the pleasure to meet Wilhelm Schmid again. 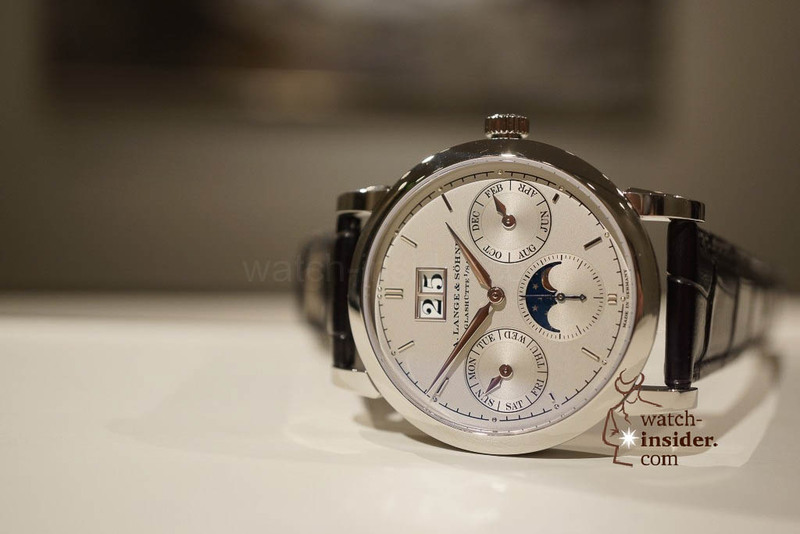 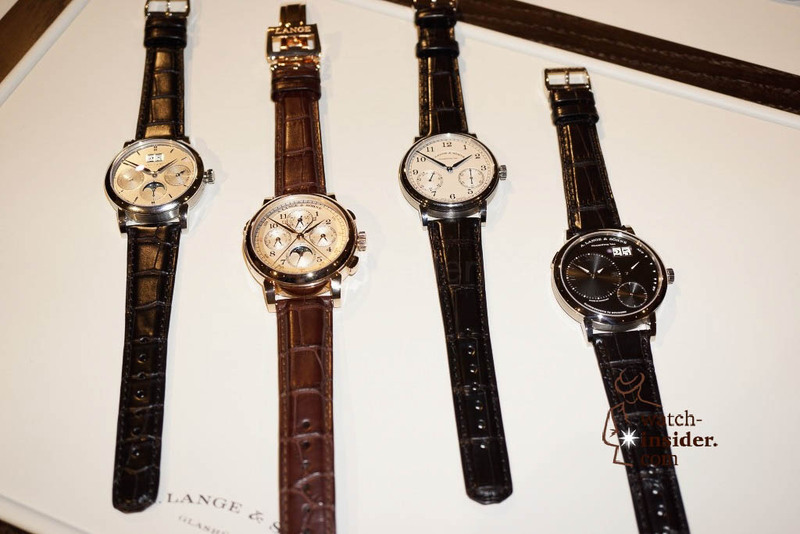 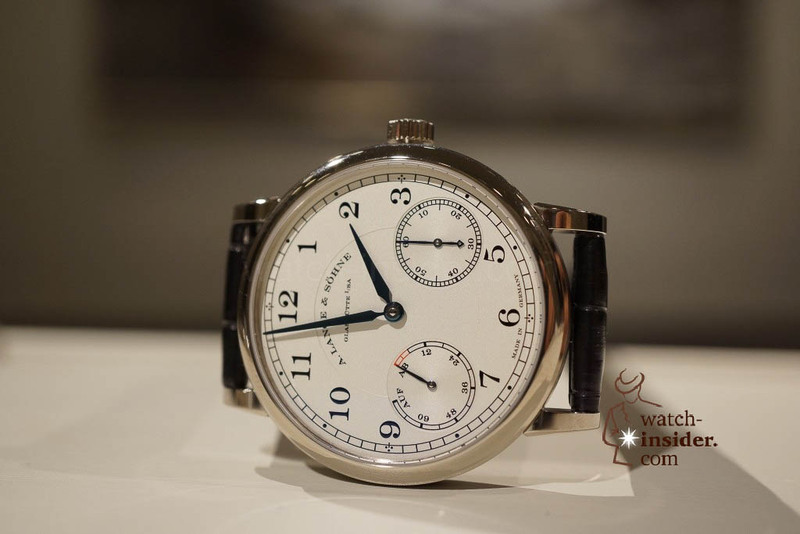 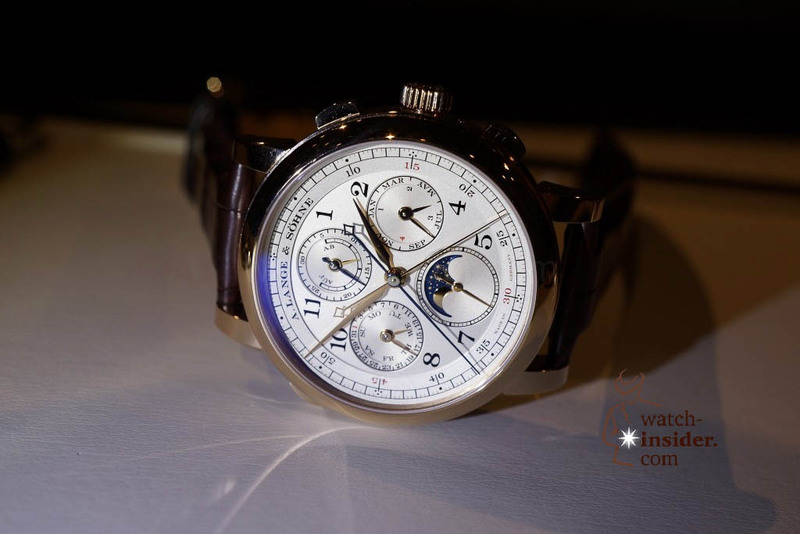 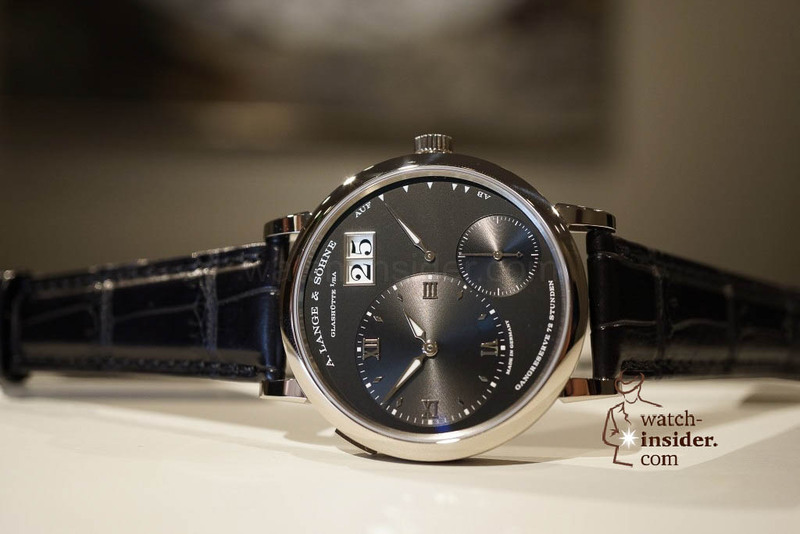 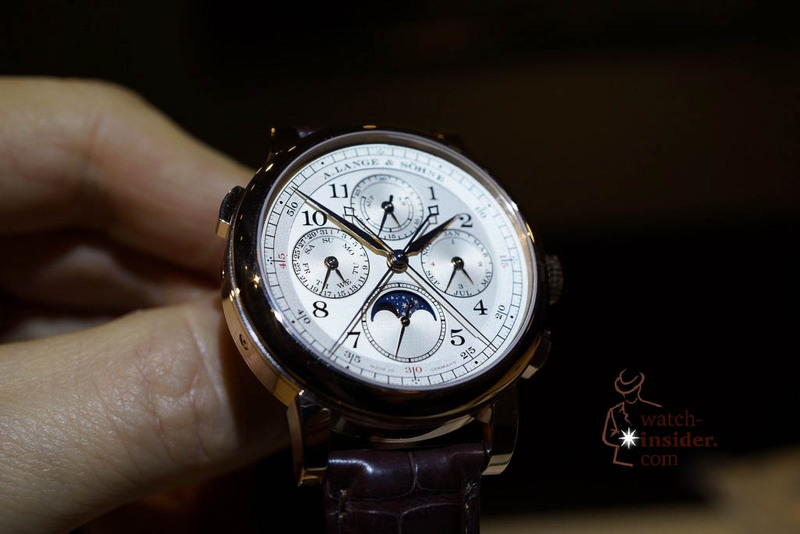 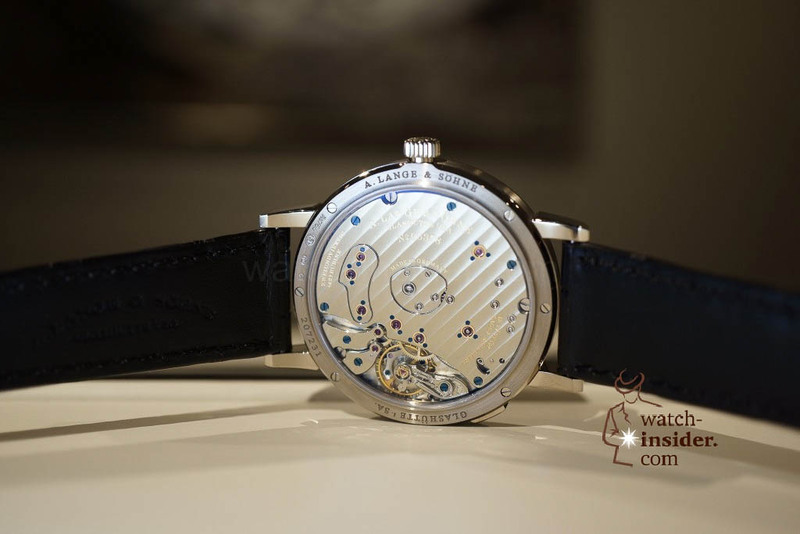 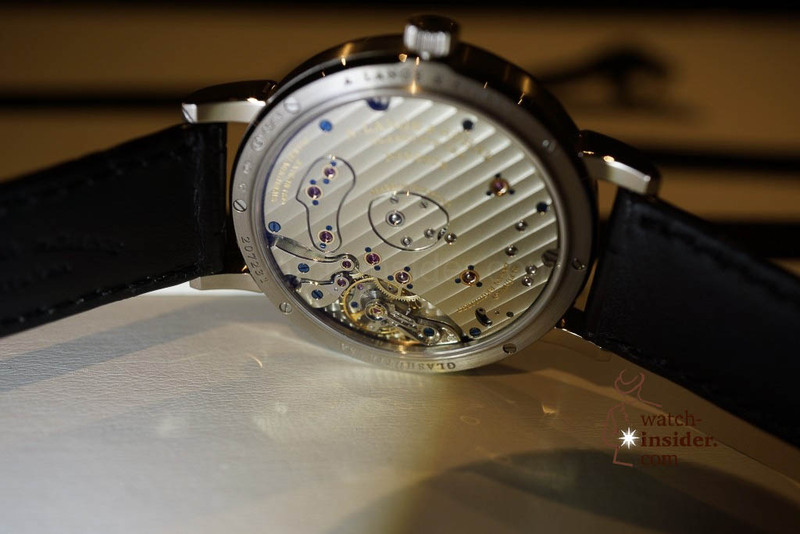 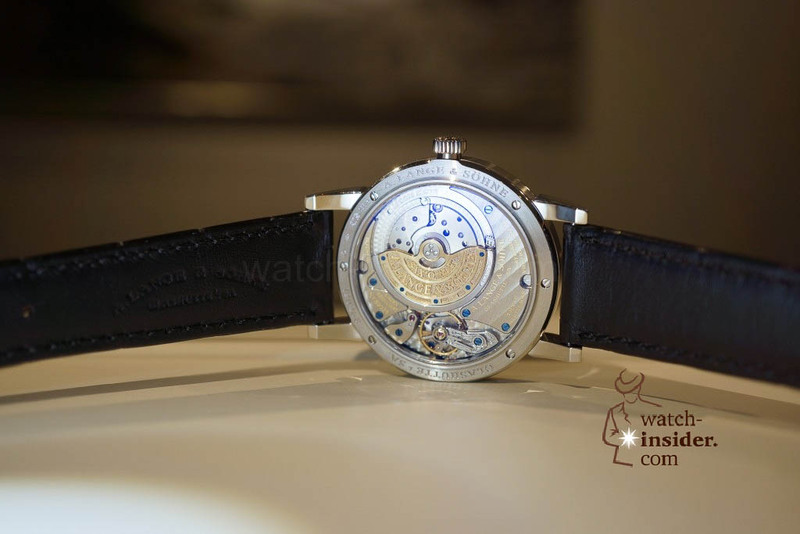 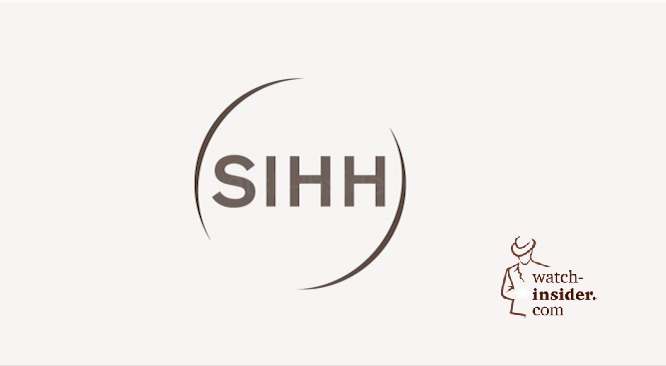 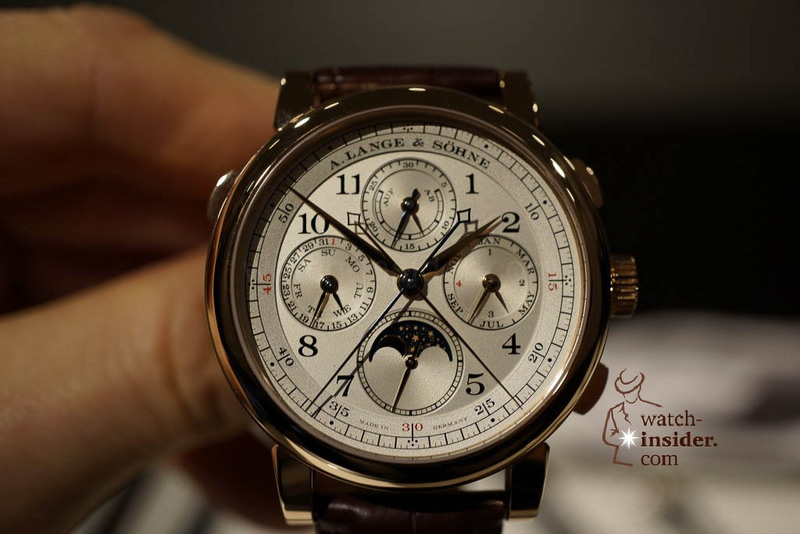 Join me and have a look what A. Lange & Söhne shows here at the SIHH in Geneva. 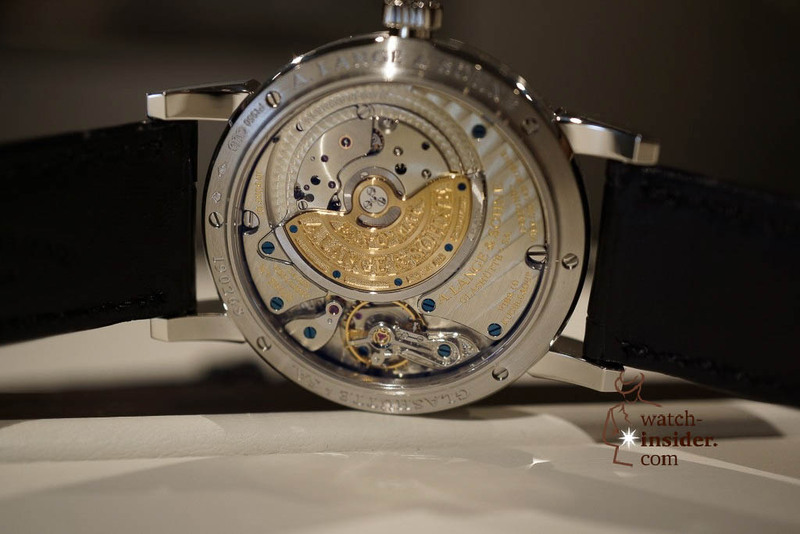 The Saxon watchmaker astonishes everyone with it´s Grande Complication. 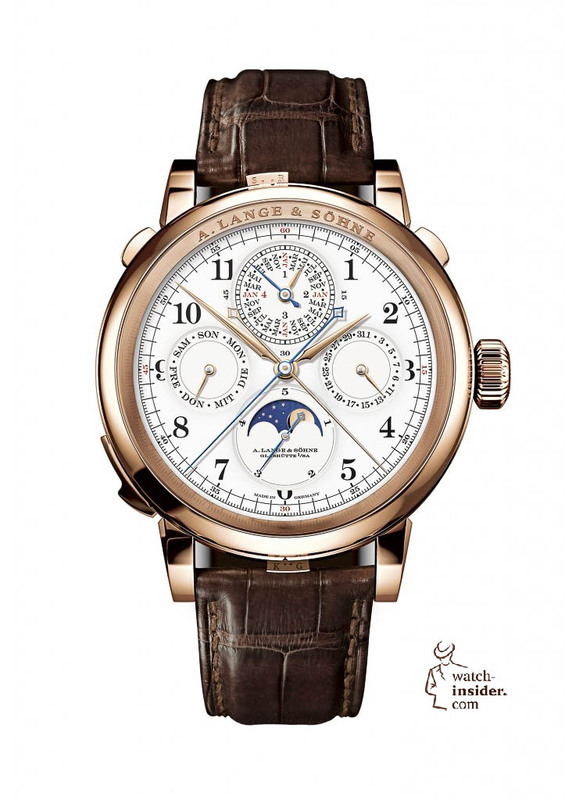 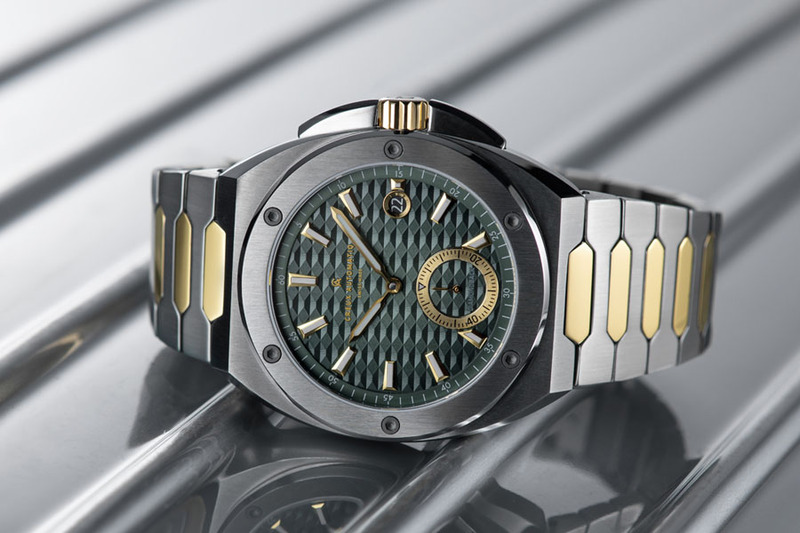 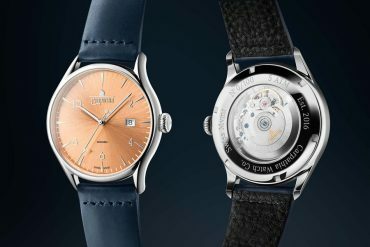 This are the functions of the masterpiece: time display with hours and minutes; chiming mechanism with grand and small strike; minute repeater; split-seconds chronograph with minute counter and jumping seconds; per-petual calendar with date, day of week, month in four-year cycle; moon phase. 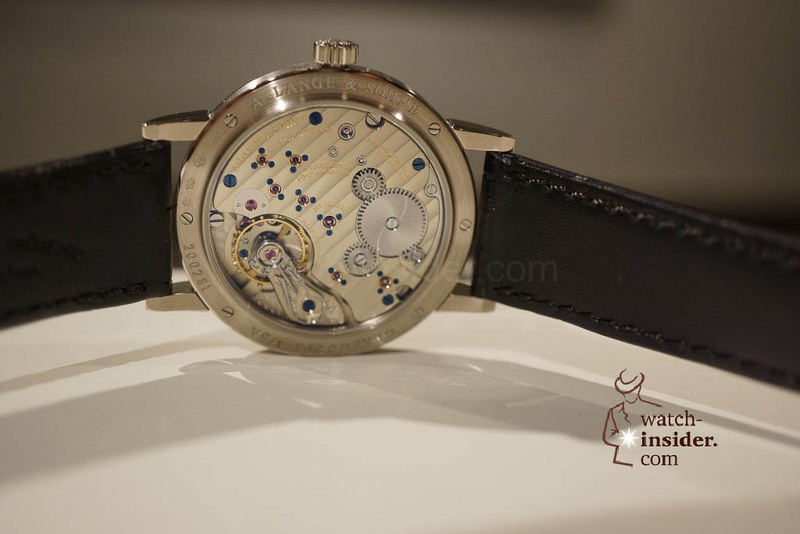 And this are it`s operating elements: Crown for winding the watch and setting the time; one pusher each for operating the chronograph and the rattrapante mechanism; lever for activating and deactivating the chiming mechanism; lever for selecting small and grand strike; slide for actuating the minute repeater; correction push pieces for advancing the date, day of week, month, and moon phase. 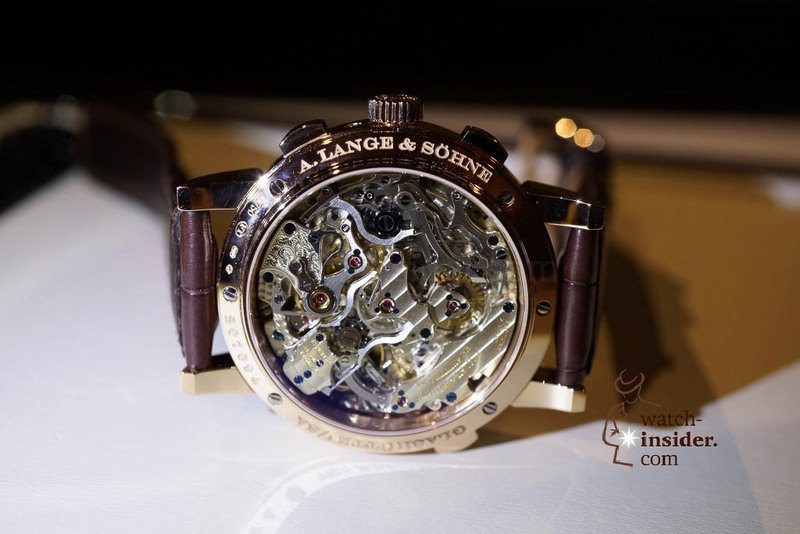 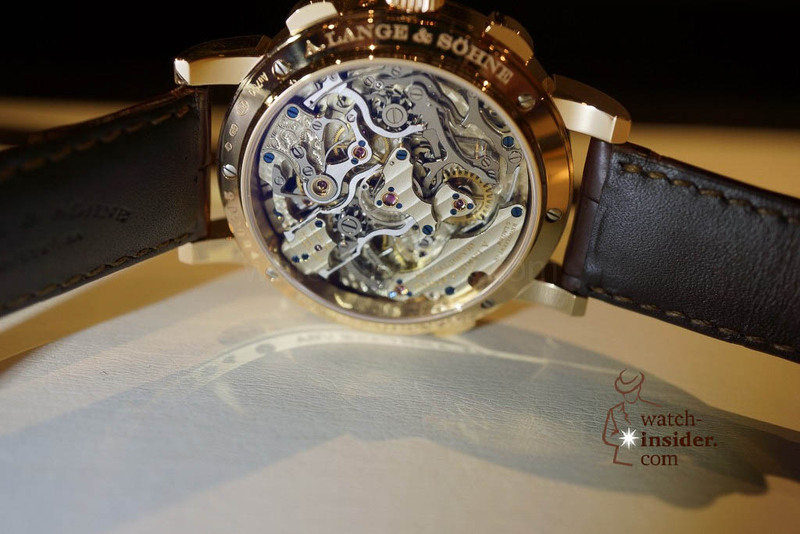 The 50 mm case hosts the Lange manufacture calibre L1902 that consists out of more than 800 parts. 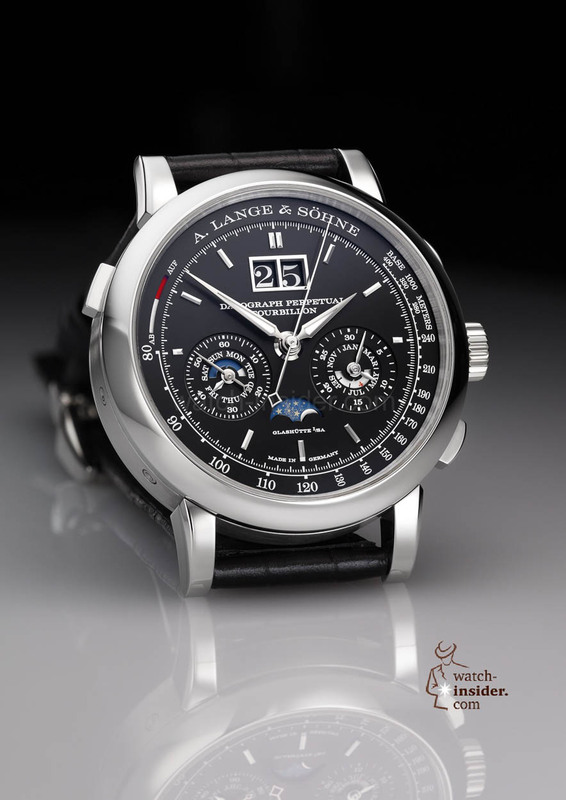 No one is allowed to take pictures so I can only show you the official picture provided by A. Lange & Söhne. 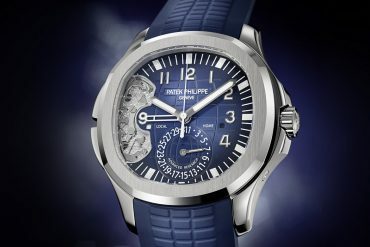 This is the only picture that is available for the time. 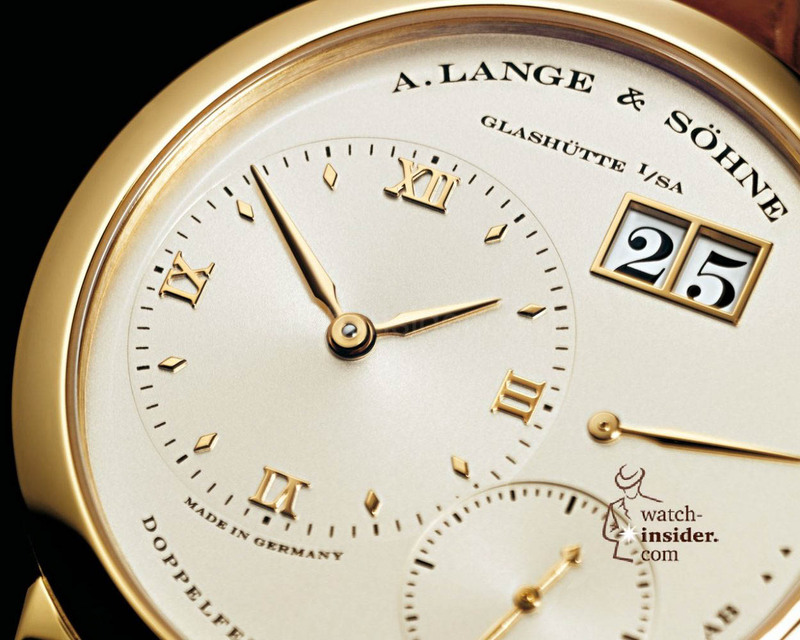 Announcing a special event: Celebrating the 20th anniversary of the “Lange 1” that was presented with the first A. Lange & Söhne collection of the new era in Dresden in 1994.
tengo en mi poder un reloj a lange y sohne glashutte 1 a.a original made in germani y me gustaria mas información ya que mi modelo no sale en los modelos quesalen en pantalla gracias.